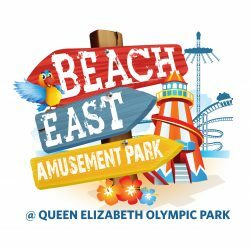 Unlimited* Ride Wristband – BeachEast – Urban Beach Attraction – will not be on for summer 2018 – thank you to all our customers for your support over the last events and we look forward to seeing you hopefully in the future! 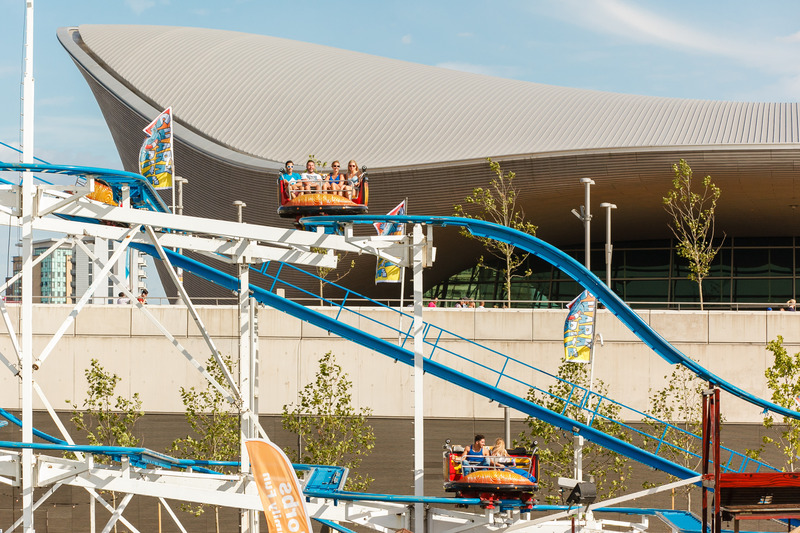 We are pleased to announce our great value wristband system for the 2017 event, including more rides than ever for all ages and adrenaline seekers with the Unlimited* Ride Wristband. 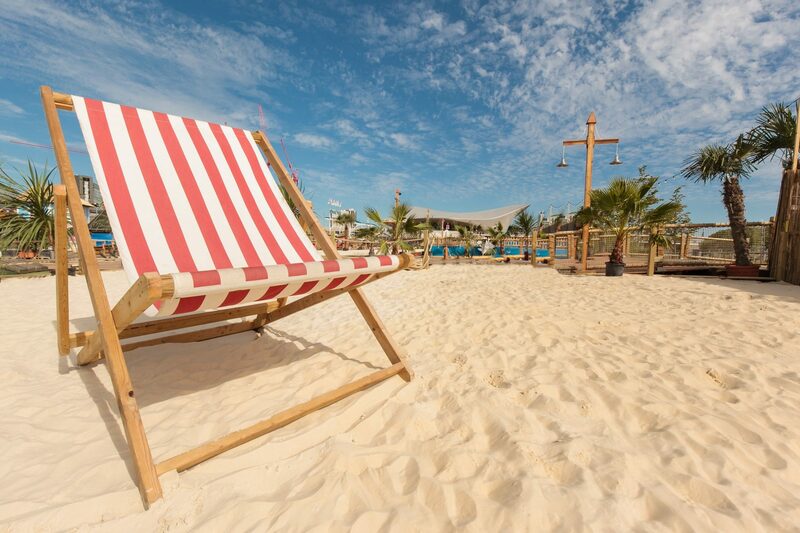 Weekdays (Mon-Fri): site opens at 12pm and closes at 9pm, two ride sessions per day, 5 hours each: 1pm-6pm; 4pm-9pm. Weekends (Sat-Sun): site will open at 10am and close at 9pm, with three sessions per day, 4 hours each: 11am-3pm; 2pm-6pm; 5pm-9pm. Adults accompanying kids on the rides will be able to purchase wristbands or Pay as You Go tickets from the on-site ticket offices.All Unlimited*Ride Wristband will be subject to height restrictions and SESSION TIMES. 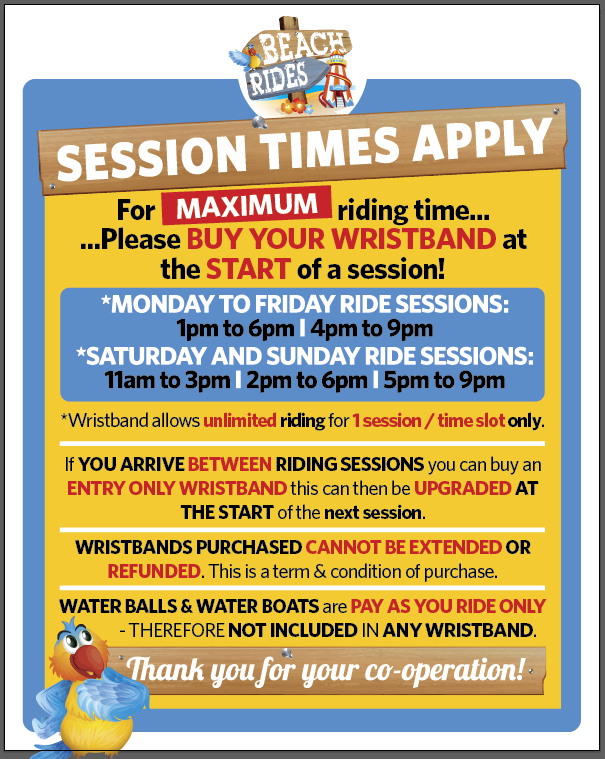 Riding wristbands are valid for one session only.